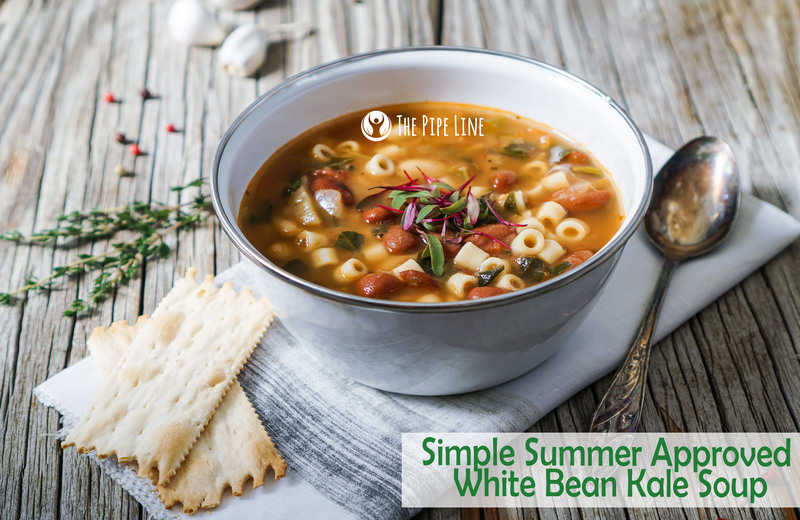 The Pipe Line A Simple Summer White Bean Kale Soup -- Only 3 Ingredients! Soup in the summer? You must think we’re crazy. But, not so fast with that assumption. 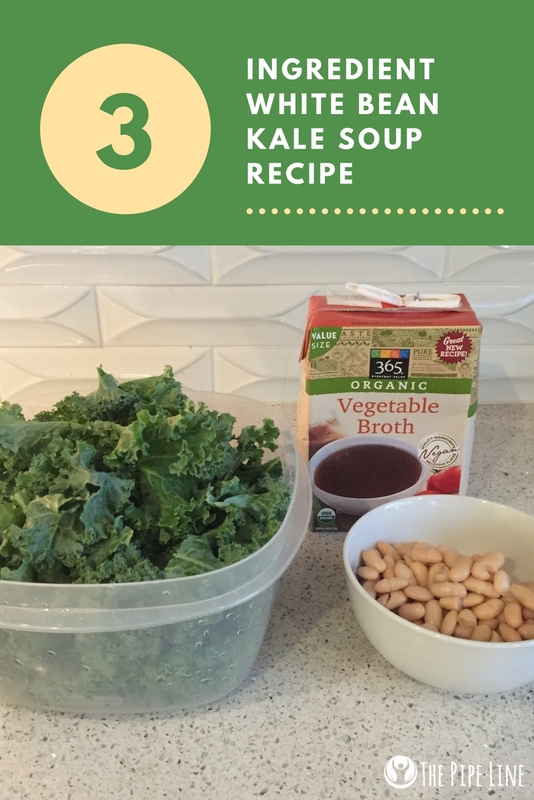 This wholesome white bean kale soup is anything but typical and is packed with nutrients. Plus, it isn’t one of those hearty ones you eat in the winter to keep warm, this one is light yet filling. In fact, it’s perfect for packing in a thermostat for a day picnic outdoors on a slightly brisk day. 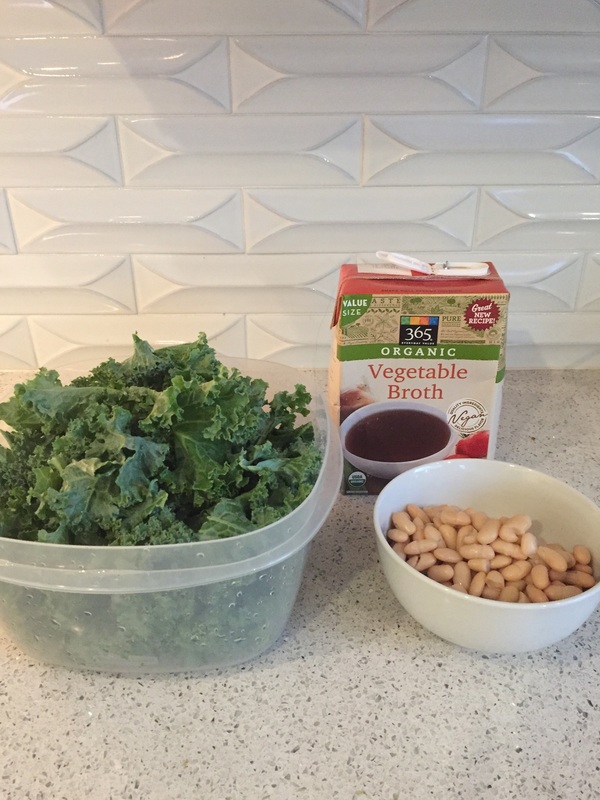 What do we love the most about this white bean kale soup outside its taste? Well, it contains two awesome ingredients: kale and white beans. These two are wellness powerhouses that are not only good for you but have benefits you’ll love. 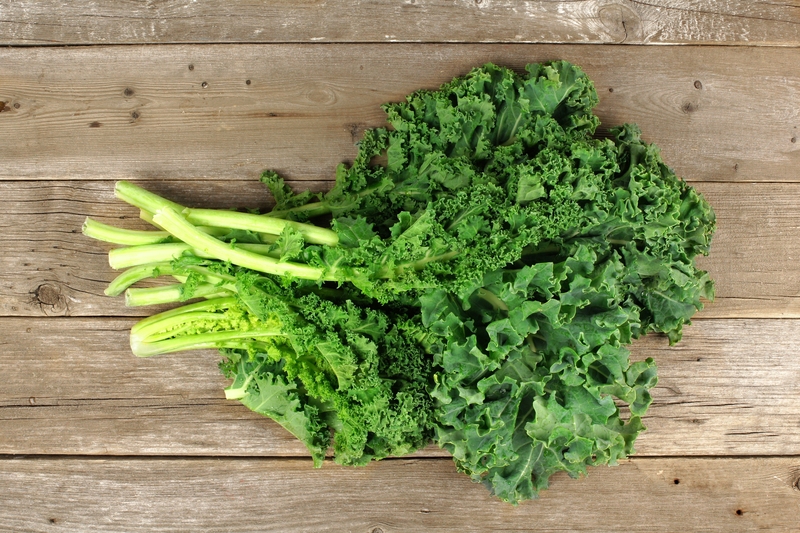 + This green leaf has Vitamin C which can help support your immune system. 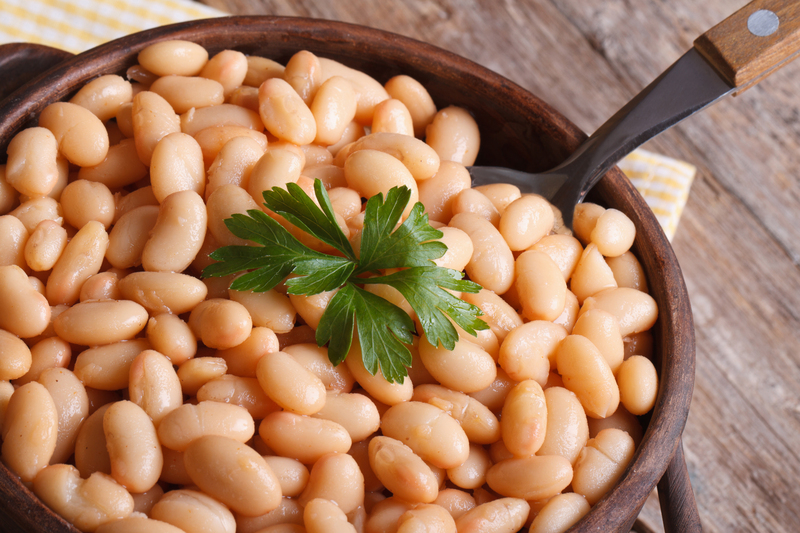 + Contains Vitamin B-9 which is also known as folic acid which is great for overall wellness. Now that’s covered…let’s hit the kitchen, shall we? Step 1. First you’ll want to add the 2 tbsp of EVOO to a 3-quart pot over medium/high heat. When you have your small white onion chopped up, time to throw them in the pot and cook until they are soft. Step 2. As the onions are cooking, mash one can of beans in a small bowl (we used a fork to achieve this). Step 3. Once the mashing and onion softening is complete, add the mashed beans, broth and water to your pot. Step 6. Reduce to a lower heat setting, let simmer for about 20 minutes. Step 7. Add other spices as you see fit and serve! Loved this post? Love us? Sign up to receive emails on our crazy deals and more blog posts like these!